Choose your Gateway Motorsports Park Driving Experience or Ride Along Experience to begin booking. If you’re giving as a gift or are unsure about a date, you can purchase a gift voucher and you or the recipient will have 90 days to return to the website or call 855-227-8789 and book a date. 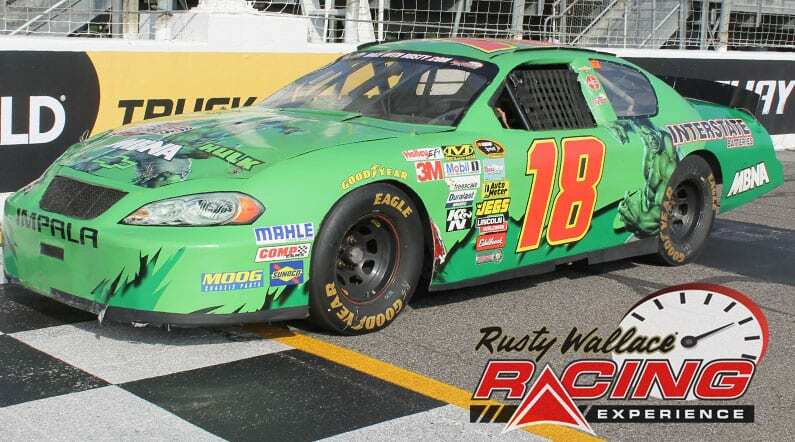 A group of investors, led by real estate developer and former professional race car driver Curtis Francois, will re-open the Gateway Motorsports Park for the 2012 racing season. The 1.25-mile oval is a favorite of many of the drivers who race there due to the unique shape and different degrees of banking in each corner. Turns 1 & 2 have characteristics similar to New Hampshire Motor Speedway while Turns 3 & 4 are similar to Phoenix International Raceway and the track’s egg shape mimics the legendary Darlington Raceway. Several NASCAR Sprint Cup Series teams test at GIR in preparation for these events. We send out email promotions for individual tracks as well as nationwide. If you would to be included for future promotions, please enter your email below. 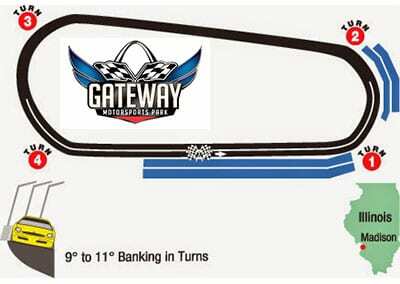 You will receive any email promotions for Gateway Motorsports Park as well as Nationwide promotions. You can opt out at anytime. If you would like to receive specific promotions for any other track, please visit that track’s page and submit your email for that track.